With all the delicate elegance of Grace Kelly, you’ll find Powder Pink has a gentle charm worthy of any blushing beauty. Wear this powder puff shade in pretty outfits or introduce it in your bedroom or conservatory and you’ll instil the gentle beauty of blossom petals dancing in the spring breeze. 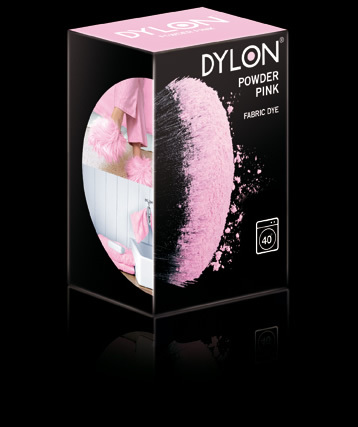 • You can change one strong colour to another (or dye it to a lighter shade) by using DYLON Pre-Dye which lightens before you dye, ready for colour change. • Use in front loading automatic washing machines. Do not use in launderette machines.